WASHINGTON, D.C. — A new study released by the Brookings Institute revealed that the Ford Motor Company, an American automaker headquartered in Michigan, would like you to buy one of their trucks. “After thoroughly analyzing the data and interviewing both executives and employees, we can conclusively say that Ford would be very pleased if you decided to purchase one of their pickup trucks available at a Ford dealer near you,” said head researcher Dr. William Forrester, who spearheaded the five-year study. 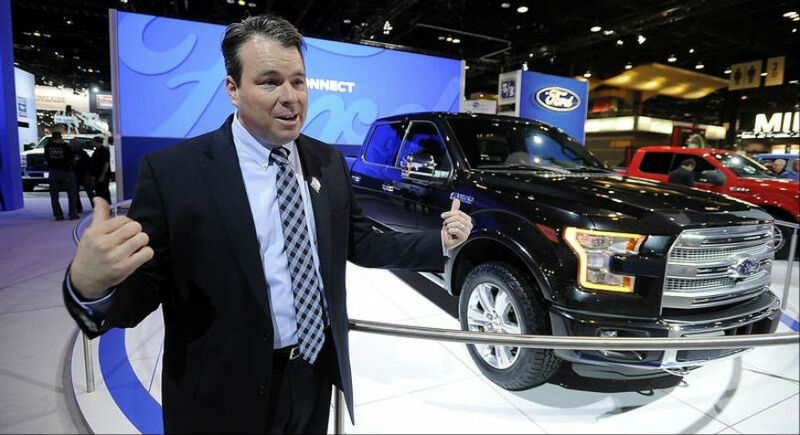 The report discussed how Ford has several types of trucks available for you to buy, including the F-150, F-250, and F-350, all of which are available in various colors depending on your preference. Additionally, the report went on to show that, while the company would appreciate you buying one of their trucks, Ford would be even more grateful if you were so inclined to purchase two or even three of their trucks. “Buying three trucks would just be great,” the report stated. “As part of our investigation, we discovered that Ford has spent millions upon millions of dollars in an attempt to convince you to buy their trucks through the use of TV, radio, print, and on-line advertising. The company is very focused on selling their trucks to you and have been for quite some time,” said Mr. Forrester, noting that the company has even gone so far as paying for very expensive Super Bowl commercials to reach as many of you as possible in the hopes that you see the commercial and then go buy a Ford truck. Researchers included a section within the report demonstrating why exactly Ford wants you to buy their trucks. Reportedly, when you buy a truck from Ford, the company makes a profit, which allegedly is a net positive. “Ford shareholders want you to buy Ford trucks too,” explained Mr. Forrester. The report concluded noting that Ford would prefer it if you purchased one of their trucks as soon as possible, but the company understands if you wait a while and buy a truck at a later date, just as long as it’s still one if their trucks and not a Dodge, GMC, or Toyota truck. Sources confirmed that the research team had moved on to determine whether or not McDonald’s wants you to eat at their restaurants.